1. Name one “bye week fill-in” expected to exceed expectations in Week 10 and an example of a player or two liked better than him as a starter. Considering the definition of a “bye week fill-in” I’ll go with Cole Beasley. If you combine his Week 9 stats in which he got 11 targets that he converted into 9 receptions for 112 yards and 2 touchdowns, with the a juicy Week 10 matchup against the Tampa Bay Bucs who are giving up the 5th most fantasy points to QB’s and 4th most to WR’s, he’s a more than adequate flex play this week. With an ECR of 52 I’d start him over ******* and *******. Beasley makes a good punt in DFS. 2. Who should fantasy owners be most concerned about as a potential bust this week? 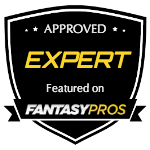 With a RB ECR of 10, Lamar Miller is my choice to bust this week considering his current ranking as he goes up against the Philadelphia Eagles who give up the 4th fewest fantasy points to RB’s. Last week Miami rookie Jay Ajayi was activated and turned 5 carries into 41 yards while Miller went 12 for 44, although he did score twice. Considering the matchup, workload concerns and a number 10 RB ECR, Lamar Miller could be a bust ranked as an RB1. 3. 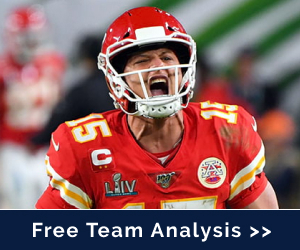 What struggling player gets back on track & rewards patient fantasy owners? For me this was between Eddie Lacy and Jeremy Hill. Both games have their respective teams heavily favored with GB -11 and CINN at -10.5, so the opportunity for both to pound the rock late should be there. I will go with Lacy in this spot. 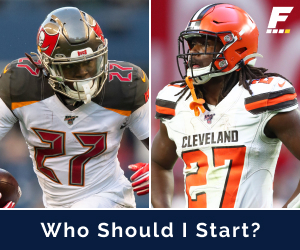 He should be motivated with James Starks being named the new starter and he’s facing a Lions run defense giving up the 4th most fantasy points to running backs, including a league leading 58 red zone touches and 12 touchdowns to running backs in just 8 weeks because they were on bye in Week 9. 4. C.J. Anderson and Ronnie Hillman are very closely ranked this week. 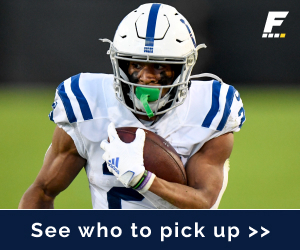 Who has the better fantasy outlook this week? Over the last 2 games since their bye, C.J. Anderson has certainly done more with less. Anderson has rushed for 135 yards on 21 carries while Ronnie Hillman has just 61 yards on 26 carries. C.J. Anderson seems to be healthy now and with production comes playing time. A strong running game is something a struggling Peyton Manning needs, and it seems set up for C.J. Anderson to be the one to deliver in Week 10. 5. 1 bold prediction for week 10. My bold week 10 prediction is that both Doug Martin and Charles Sims will each go over 100 total yards. They are at home facing a Dallas Cowboys defense that gives up the 2nd most fantasy points to running backs. Additionally, Dallas could be without 2 starting linebackers, including most notably Sean Lee who is dealing with another concussion. This is favorable for Sims because the Dallas defense was already giving up the 3rd most receiving yards to running backs.